Andrea Bocelli will be performing at the Montreal Bell Centre on October 21st, 2018. This will be Andrea Bocelli's first visit in Montreal in over 20 years ! 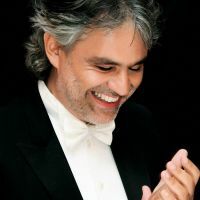 Made popular by his hit single Time To Say Goodbye (Con te partiro), Andrea Bocelli sold over 80 million records worldwide. Don't miss the return of Andrea Bocelli in Montreal this Fall !